My work draws on my observations of my younger brother’s burgeoning awareness of his hemiplegic cerebral palsy. I sought to capture some of his emotional reactions – the quieter, internalised moments, the extremes of external expression and moments of humorous relief. ‘Half a boy’ is a reference to the time I heard him say to our mother, ‘Mummy, I’m only half a boy’. 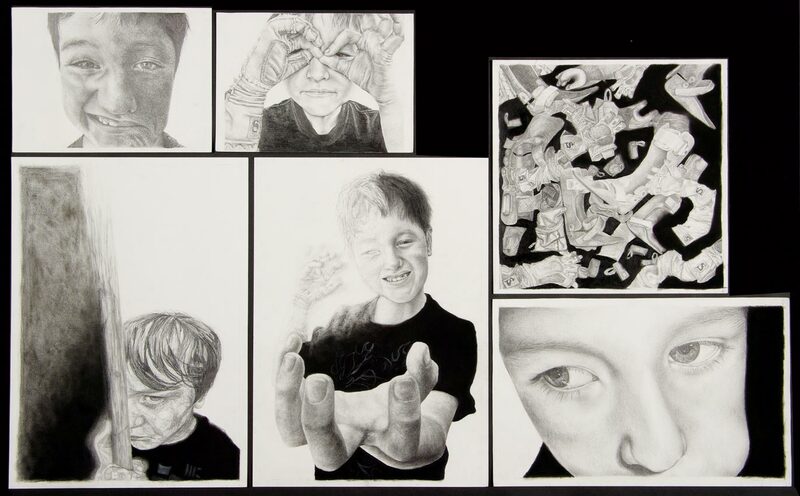 My drawings glimpse my brother’s private struggle and aim to challenge the perception, or perhaps the preference, that children with a disability are one-dimensional people who easily accept their situation.